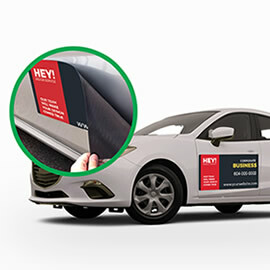 Whether you are a realtor, politician or just want to advertise your business, you can do so with our signs. Yard & Lawn signs aka Coroplast signs are perfect for election time, selling homes, or promoting the service you are offering. 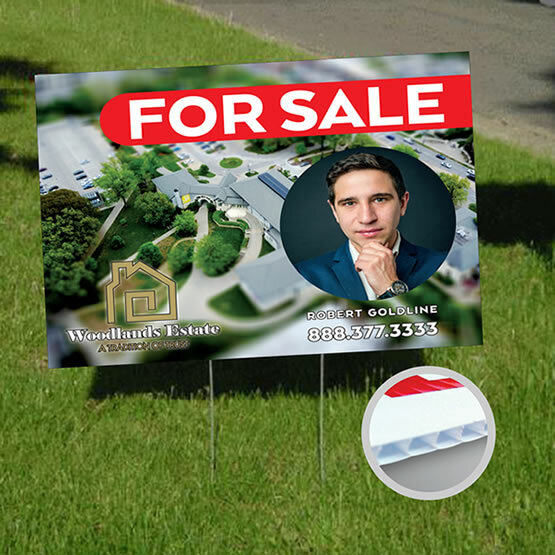 With all the pedestrians and cars passing by, your front yard can be prime advertising real estate! So why not to utilize that opportunity. 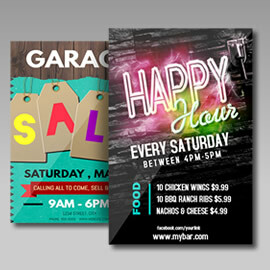 Print Factory offers affordable custom signs printed directly on corrugated plastic (coroplast) which makes them all-weather and sturdy and by using UV cured inks that make signs fade resistant (to some extent of course). Add H-Stakes in order to be able to place them on the lawn. You can also attach the sign to the fence or wall by having us put grommets to top 2 corners or all 4 corners. 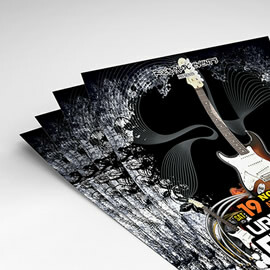 Please note that printed quality is designed for outside (signage) and not meant for art/very high-quality printing purposes. Please note: H-Stakes are not available for sizes larger than 18.0" x 24.0" as they are not intended to hold large size signs in the ground. H-Stakes are used to place your Yard Signs in the ground. 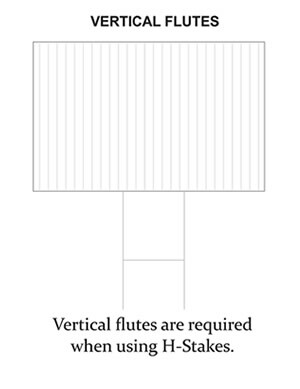 Your signs should have Vertical Flutes when using with H-Stakes. 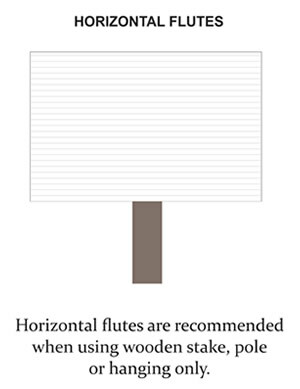 Flutes are the ridges or corrugations in the sign that you insert the H-Stake into and then push the H-Stake into the ground. Not sure how to properly design a message on your sign? 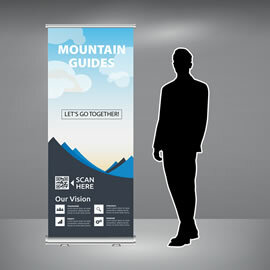 Ask us about sign design packages and we will be more than happy to assist you with that task. For custom sizes, finishing options and quantities over 10, please do not hesitate to request an estimate, and one of our estimators will be happy to get back to you with a competitive quote. 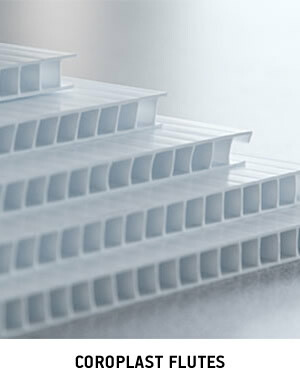 When designing your file, please make sure to have 0.5" for bleeds from each side and 0.5" safe zone for each side. So if you are looking to print 18.0" x 24.0" coroplast yard sign, your final page size should be 19.0" x 25.0" which includes bleeds. For more information about bleeds and safe zone click here. Max. size 12" x 18"
Max. size 4 tf. 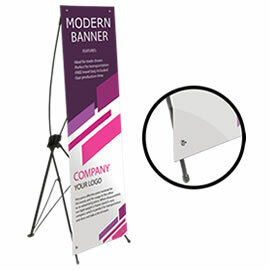 x 3 ft.
as low as $18.4 ea.